If you weren't able to join us for Facebook Live today, you can find the replay here. Or you can find the YouTube video here. FYI I will be doing a Facebook Live every Tuesday at 1PM Central Time! 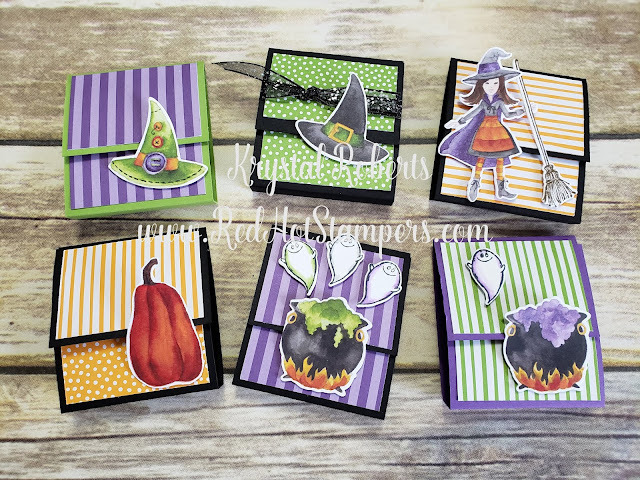 This week, I showed you how to make 4 treats out of 1 piece of cardstock! I showed you a Halloween version, but you could also use this pattern for Christmas, Thank You, Birthday... ANY occasion! 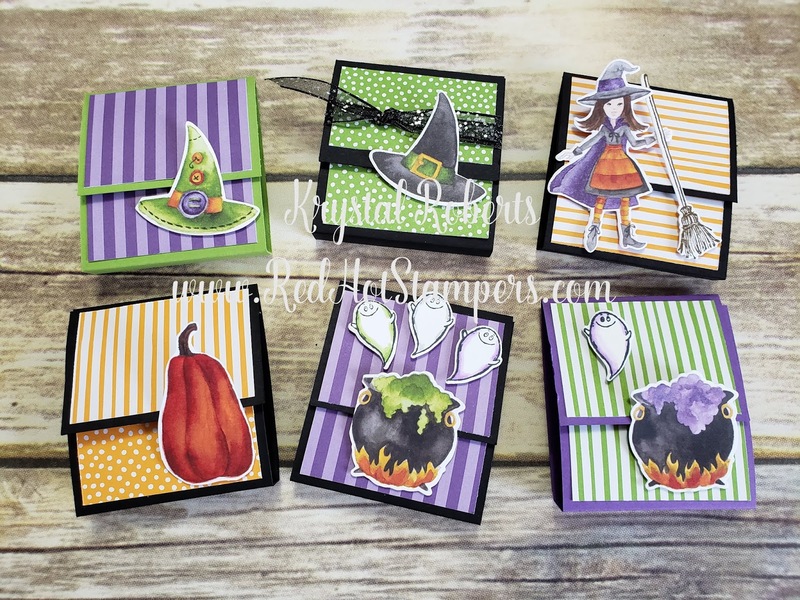 This Cauldron Bubble Bundle is just WAY too cute to pass up! This is the bundle you will kick yourself for not purchasing! And don't forget to add in a pack or two of that coordinating Toil & Trouble Designer Series Paper! YES the framelits fit the images on the paper!!! I LOVE THAT! Here is the printable PDF with all the measurements and instructions for scoring and cutting.